When you start a business, the very first thing comes in your mind is to make it BIGGER, but even, you know, to grow a company bigger, you need several aspects, including quality product/services and the right set of promotion to reach your target audience. When you think of promotion, then, believe me, you can’t escape any pillar of any marketing channel to beat the odds of competition. One of the most crucial factors for marketing is Mobile app development for your business. Are you unable to relate to this fact? Well, just like you, there would be numerous who feel why to have a mobile app for their business, since it will only add additional expense on the pocket, this is the most common thought which crosses your mind, but you are absolutely WRONG with your approach, since a mobile app for your business is an ROI (return on investment) for your project, still clueless? Let’s read further…. When you need to book a taxi, order food, buy online, bank transactions or even book an appointment with your Dr. which mode of communication, do you use? The answer is obvious, it is a Smartphone, and what is the source of delivering information…mmm, here you are…that is MOBILE APP. So we all use mobile apps daily and every hour, for solving the demands of our daily necessities, and this need is increasing ever and ever, and is not stopping at any corner. Considering all the given points, with a mobile app you can get a remarkable presence for your business, which would generate better revenue for your business. Many app development companies are just there in the market, not due to their passion or understanding of the app development process, but just to make money, and their team has no sound knowledge of any technology platform. So giving your app project to such a naïve team is suicidal, do not commit this mistake, and ensure that your hired an app development company, which is well-equipped with the latest mobile app development tools and the latest mobile platforms. Apart from the technical proficiency, the next aspect you need to keep a tab on ,is the exposure and the experience of your picked app development company, with this I mean, that which all types of different mobile apps and which different industries the app development company has catered so far. With this step, you can learn that what different types of apps and functionalities they are well-versed with and you can explore their development and coding expertise. You can explore these details through the company’s portfolio available on their website and other listing websites as well. I agree, it is way to decisive, since there can be plenty of fake testimonials available on the company’s website, which can speak massive details about the company and the fake projects, but you don’t need to rely on company’s dedicated website, and you need to expand your horizon, and reach to listing websites, such as Clutch, AppFutura, GoodFIrms, Extract, AppDexa, AppLancer and Skilled, these websites are dedicated websites for the mobile app development companies, where they conduct direct interviews with the clients, minimizing the every possible chance of fake review and feedback. You check on these websites and learn the true and unbiased performance report of your chosen app development company. This factor affects everybody and considering it before awarding the app development project to a particular app development company is not wrong even, but totally depending on it, can bring disaster for your business, because there is a larger number of app development companies, which charge peanuts for your app project, but they don’t have the required experience of handling the tech challenges which always crop up during the app development process, so in case you opt for such company, then to get your mobile app functional, you may have to hire an experienced app development company to finalize your app project, which will burn a hole in your pocket unnecessarily, so don’t let the less pricing factor misguide and ruin your business goal. A mobile app is not done with the simple app development process, but the app deployment begins another journey for you and your developer, where they have to fix bugs, issues, improve app functionality depending on the user’s feedback. So, before hiring an app development company, do ask and crosscheck with them, that whether they do provide post-deployment services, and for how long? What are the conditions involved in this service? Once you get your required answers in a document, then only proceed with them ahead. Although many app development companies do not mention it in their proposal document, but it is very crucial since the ownership of the source code should only be with the client and not with the app development company. So, ensure that it is YOU who is going to retain the source code of your mobile app and your app development company would not have any claim on it. With these simple attributes, you can hire a top mobile app development company in UAE, without any hassle. So if you are planning for a mobile app, then do consider these points religiously and let the best happen to your business. To narrow down your search, we have picked a leading name in the app development industry that is Techugo. 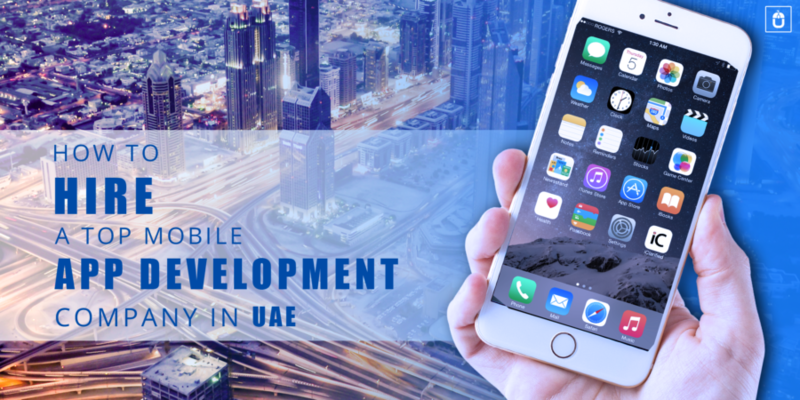 To explain more about Techugo, it is a top mobile app Development Company in UAE and has catered to various brands and startups across the globe, to find their deserving recognition through the mobile apps developed for them. Techugo team consists of top mobile app designers and is here to assist you with every step of your mobile app development strategy. You can get in touch with the Techugo team to discuss further your concept to bring into reality. 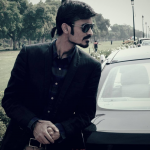 The discussion would help you to gain a better insight of your app requirement.